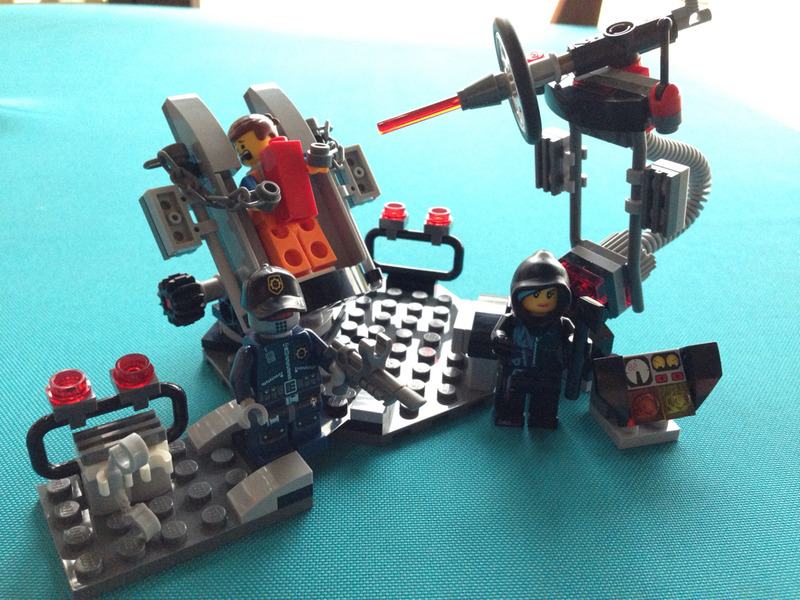 This is a set I bought purely for the minifigures. I thought it was a cheap way to get Emmet, Wyldstyle and a Robo SWAT, with a couple of interesting other parts thrown in! Out of the box, this one has 3 small bags, a 10×10 Octagonal Plate, and a folded up instruction booklet. There are some interesting parts here, but nothing overly noteworthy. The No. 3 Rifle, the 12 M Flex Tube, a transparent Wedge-Belt Wheel and a white Foot Plate are good to have. 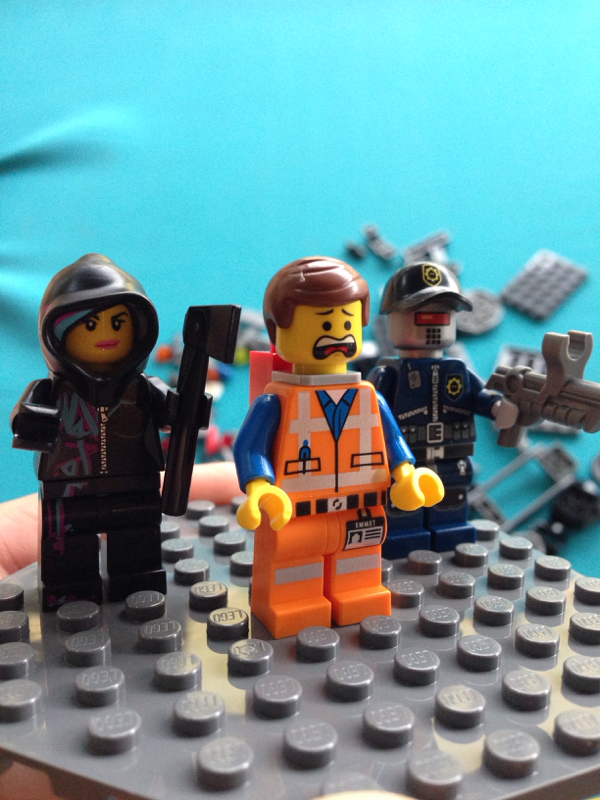 Of course, the interesting piece in this set is the LEGO Movie’s Piece of Resistance, only available in the LEGO Movie sets. I have no idea what else you would use it for, but I’m sure it’s useful somewhere! The minifigs in this set are where the value is in this one. Both Wyldstyle and Emmet have reversible heads (Emmet: determined/scared; Wyldstyle: happy/mischievous). All three have printed torsos (back and front) and legs, with Wyldstyle also having a printed right arm. Wyldstyle’s hood is also made out of soft rubber. 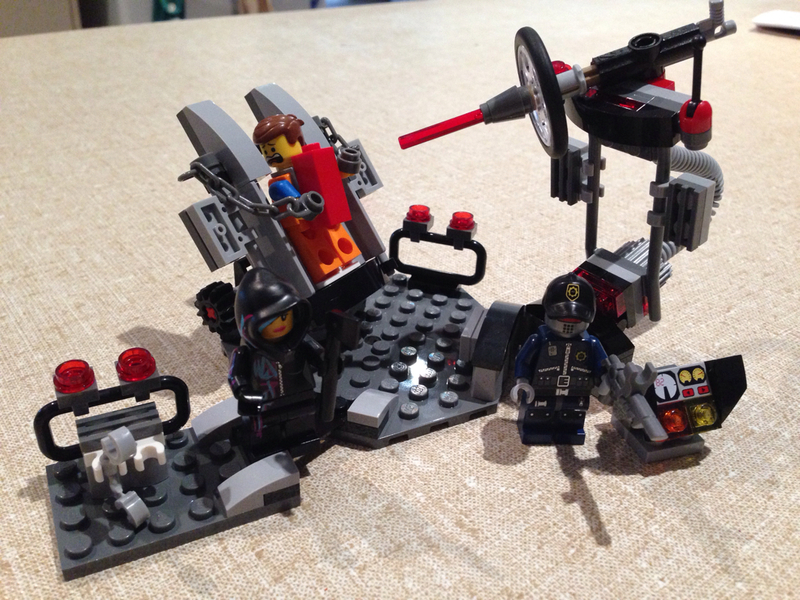 The build itself is another simple one, but I reckon there is plenty of playability in it for kids. Again, it’s a good set for the minifigs alone! When picking it up it can have a bit of a mind of it’s own, with the laser swinging around everywhere, but it’s a minor gripe. Rating 7 out of 10 Pieces of Resistance. Well that was a short one! Sorry, not much to talk about with this one. 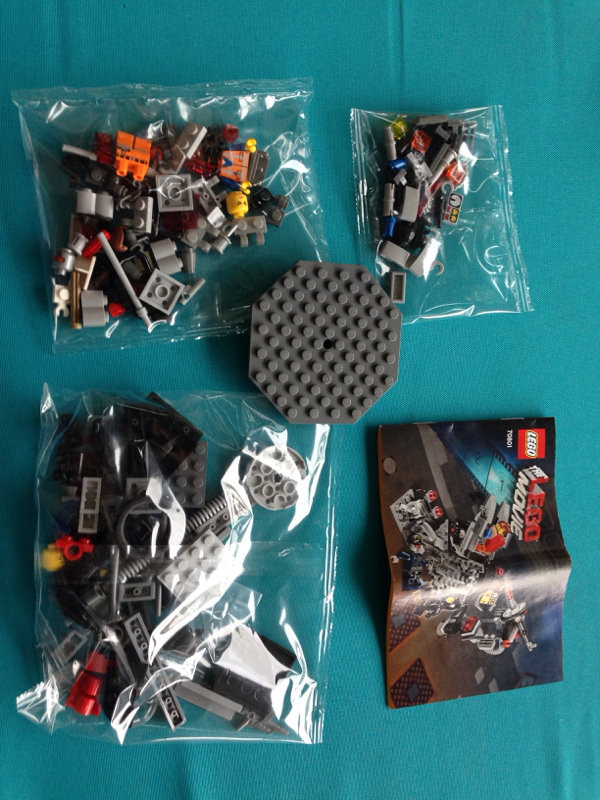 The next review will be 21109: Exo-Suit from the LEGO Ideas range!